About half of all Australians have a chronic disease. Approximately one in five Australians are affected by multiple chronic diseases. Cardiovascular disease, diabetes and chronic kidney disease are associated with around 1.8 million hospitalisations, which is 20% of all hospitalisations in Australia. 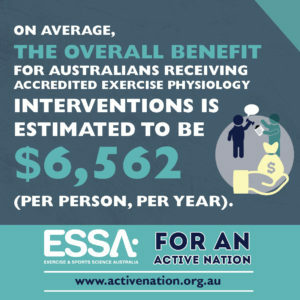 Exercise physiology has a strong evidence base to support its effectiveness in the treatment and prevention of chronic or complex diseases, unlike many complementary therapies. Classifying exercise physiology as a natural, alternative or complementary therapy is therefore potentially misleading both for consumers and referring health professionals. It also creates potential barriers for consumers to access beneficial AEP services. Poor management of chronic disease costs more than AUD$320 million a year. Approximately 4.5 million years were lost to premature death or living with an illness in Australia during 2011. Nine in ten deaths have chronic disease as an underlying cause. Improved access to AEP services is a preventative strategy which will improve the health of health fund members and reduce costs. 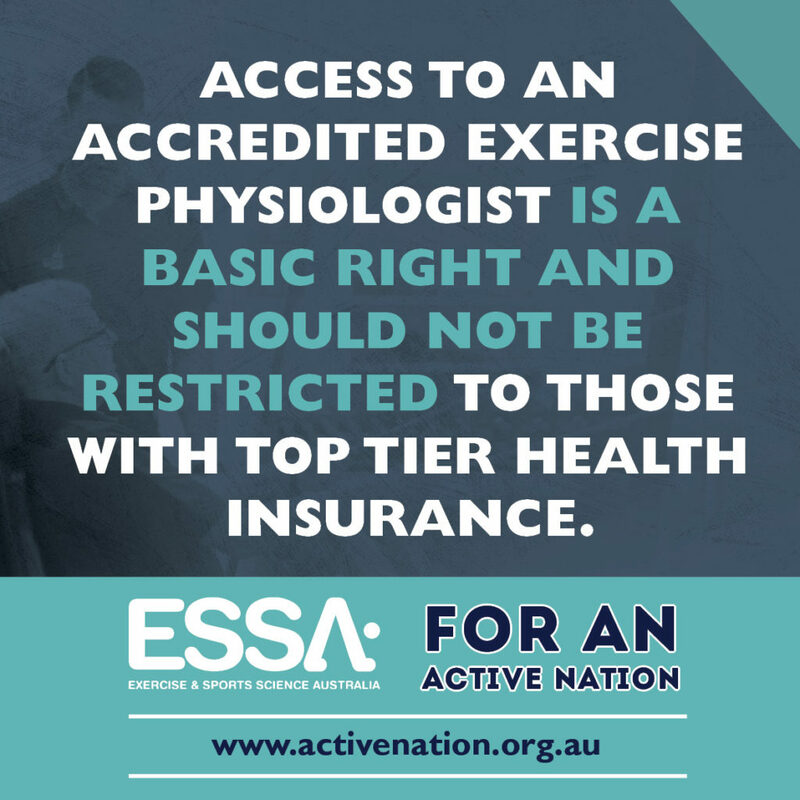 AEP services must be represented as allied health professional services, consistent with the recognition of those services within Australia’s Medicare system. Access to AEPs should be a basic health right, not restricted only to those who can afford top tier health insurance policies. 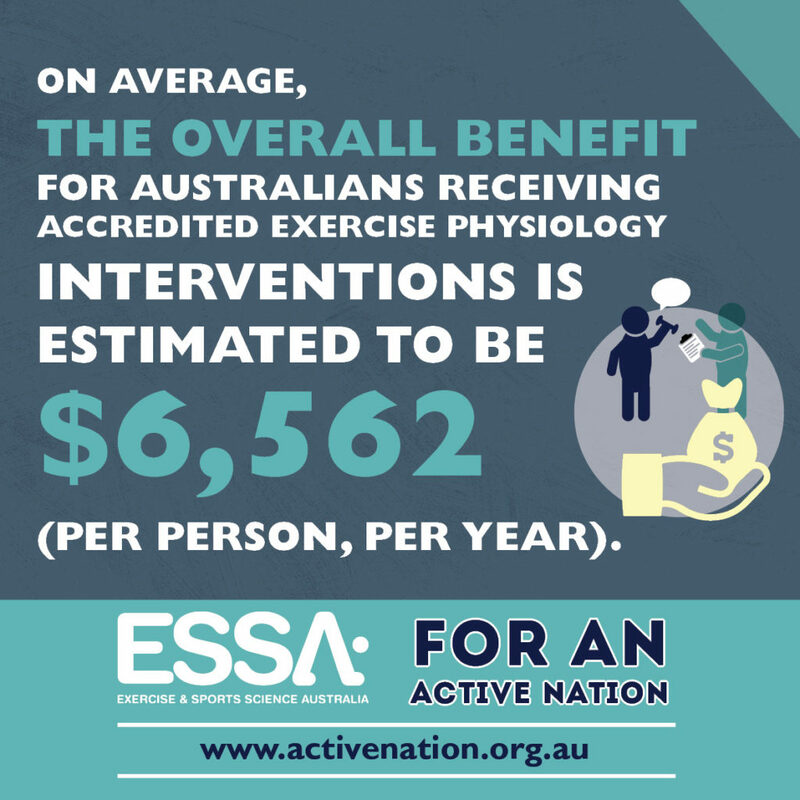 AEPs are qualified exercise professionals who provide effective exercise physiology services for the prevention of chronic disease.